4277 Persea americana - Avocado Fantastic, Grafted ? Fantastic. 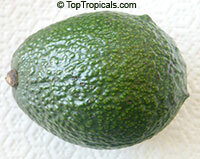 Very cold hardy variety, supposedly the most most cold hardy of all avocados. Produces green, paper thin skin. The fruit has a creamy texture.